PHP is a widely used server side scripting language that is embedded into HTML. Being open source technology, it makes for a cost effective web solutions. 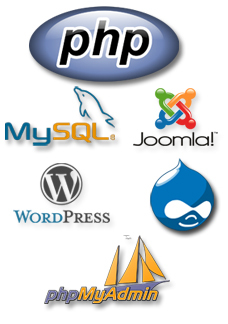 We at Anzia IT Solutions, have been coding extensively for PHP development services. Anzia IT solutions, a design and development company, provides affordable Web, Graphic, Desktop Applications, Corporate Logos, Flash design, web development Services and SEO solutions. Copyright © 2014 Anzia IT Solutions Pvt. Ltd. All Rights Reserved.